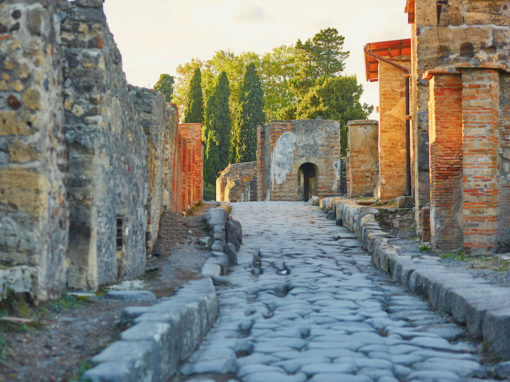 Take a walk back in time to a world of Pompeii just as it was 2000yrs ago.Pompei, though a seaside town, is an incredible Roman city frozen in time since a volcanic explosion in 79AD completely covered it with over 20metres of ash and pumice. 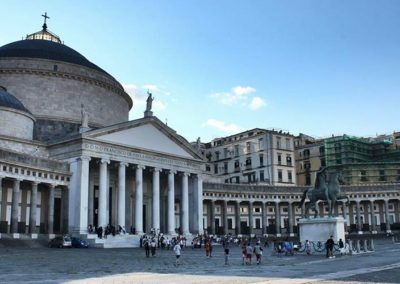 Only discovered by accident in the 18th Century, our guided tours through this UNESCO world heritage site give you a chance to take a step back in time. 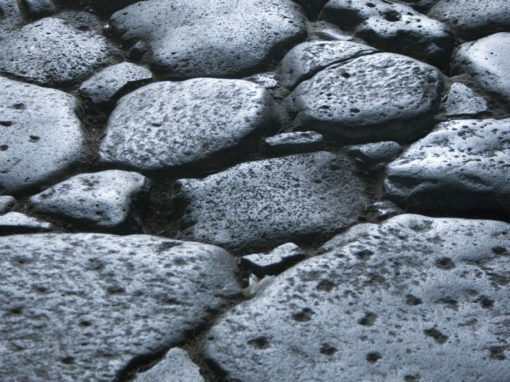 Feel, see, experience and taste life as it would have been for the rulers, rich, workers, and slaves of a roman world 2000yrs ago. 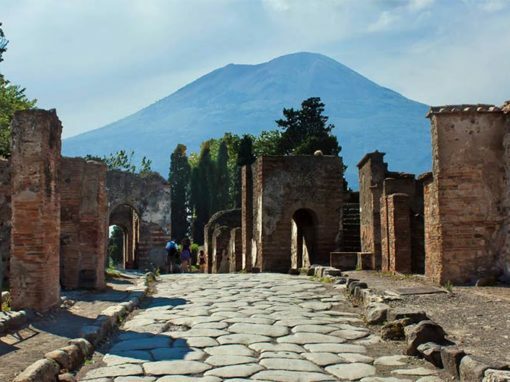 See the pain and despair of last moments as well as the beauty, cuisine, culture, art and past glory of Pompeii revealed in rich artist’s frescos, bakery and jewellery shops, the forum, temples, villas and housing for the rich and poor. 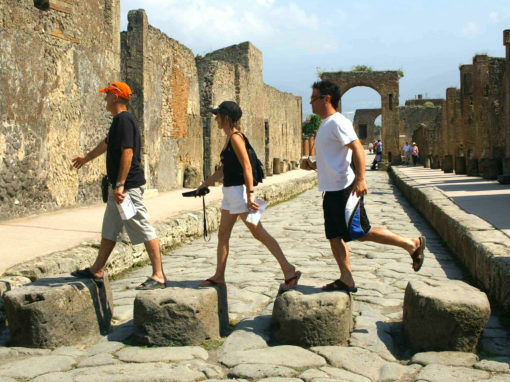 Cart tracks carved into paved streets, body casts of Pompeii citizens, theatres, a coliseum, the prostitute houses, Rome’s mastery of architecture and engineering to the amazing roman baths all give volume to our guide’s extraordinarily detailed insight to your visit in Pompeii. 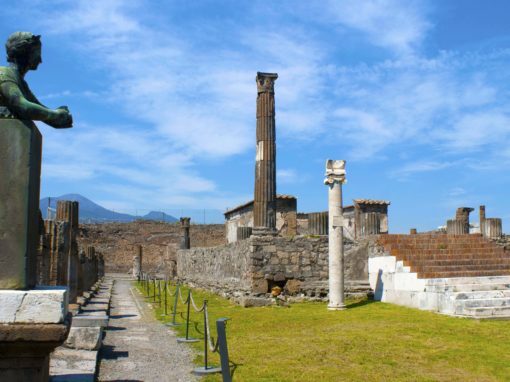 Herculaneum is another wealthy roman town next to Pompeii that was completely buried and although smaller than Pompeii, it too holds amazing discoveries to lead us in understanding the roman world. 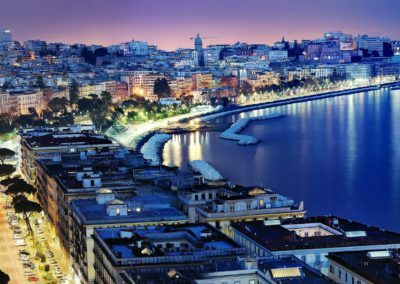 Amphitheatre, Villas, restaurants, Theatre, Gladiator School. 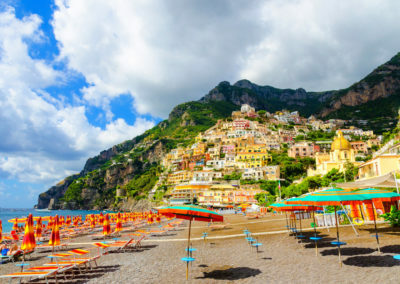 Hidden best kept secrets, we know the best spots for you. 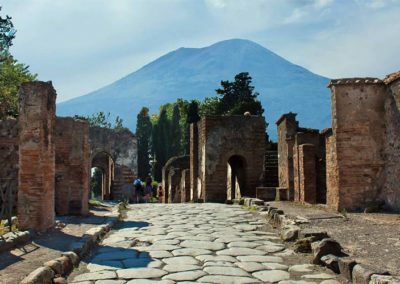 This is a day where you get to really see not only the sights, but what it is like to live, breath and taste the ancient world of Pompeii.